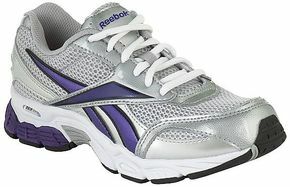 I bought some Reebok sneakers this weekend. For myself. This is a pretty big deal, because I don't remember the last time I had a pair of sneakers that didn't come from Target or Payless. The thing is, I don't wear tennies all that often. Being short and vain, I almost always wear heels. Even my "casual" shoes have high heels, or at least wedges. But I draw the line at wearing heels to walk the dog or work in the yard. Not even these...and yes, I totally own these. 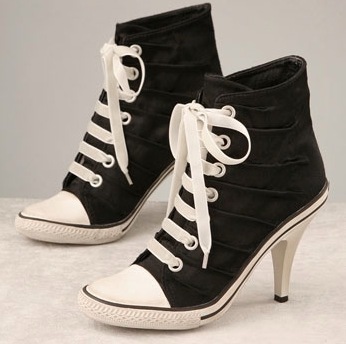 ﻿ And if you're wondering what kind of shoes I wear to work out, then I laugh at your silly notion that I work out. Anyway, since I don't spend a lot of time in tennis shoes, I don't put a lot of thought or money into them. Hence, I end up in some cheap - and let's face it, unattractive - shoes. Meanwhile, the rest of the family runs around in their Nikes or their New Balances, mocking my fugly athletic footwear. Well, no more. Now I have decent shoes, too. 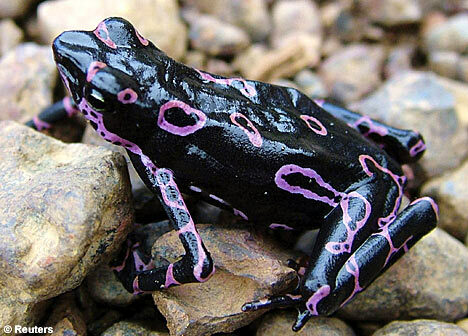 And did I mention they're purple? ﻿ So they're comfortable and well-made, yada yada. But they're purple sneakers, which automatically makes them the Best Sneakers Ever. I wore them yesterday with purple socks. I have a thing for purple. 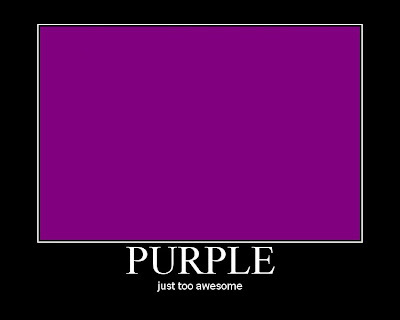 If you listen to the pop psychologists, my preference for purple makes me everything from emotionally immature to an egomaniac to gay. Which is silly, because I'm definitely not gay. ﻿You may recall that I recently made another long-overdue purchase: new eyeglasses. I've been meaning to post a follow-up to my intensive search for cool new frames but haven't got around to it. But I finally did get my new glasses...and guess what color they are? the added bonus of not making me look like Justin Bieber. Completely coincidentally, I'm wearing a purple shirt today. OK, it's not a coincidence, because I own a bunch of purple shirts. Some are more blue-ish, and some are more red-ish, and some are just in-your-face Crayola purple. Oh, and not long ago I treated myself to a cute little jacket-wrap-shrug thing to throw on when my office gets chilly. It's purple. 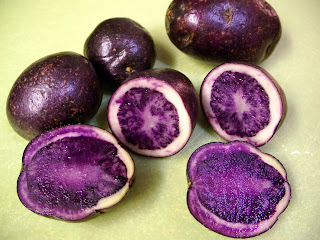 'Cause I like purple, see? 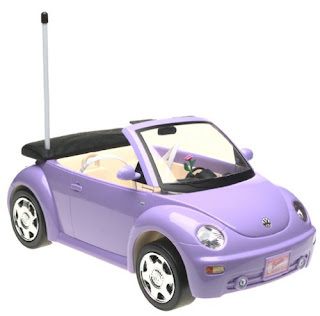 If Barbie could have one, why couldn't I? 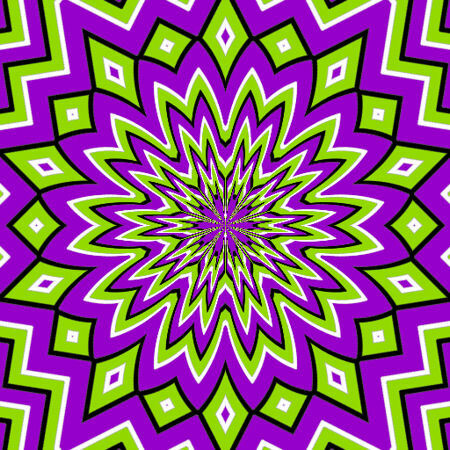 ﻿The only thing more awesome than purple is purple and green together. 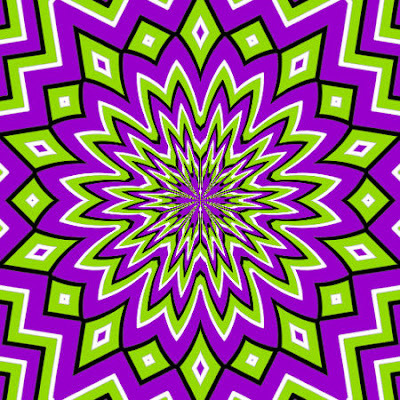 And in optical illusion form, like this one from ScienceBlogs.com. Just let it take you, man. Don't deny the purple. 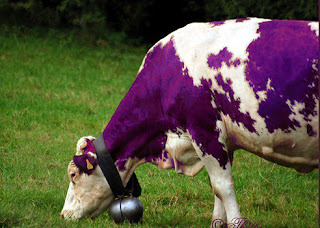 ...to the elusive purple cow. Barney the Dinosaur? Total rip-off. ﻿Honestly, I could put up purple stuff all day: Purple Haze, Purple People Eater, Deep Purple, Prince. But you get it. 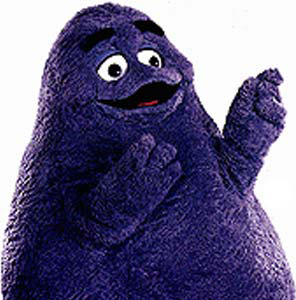 Don't hate me because I'm purple.